There are thousands of moose in Stor-Elvdal municipality in the Østerdalen valley and no attractions when driving through the dark, monotone forests. 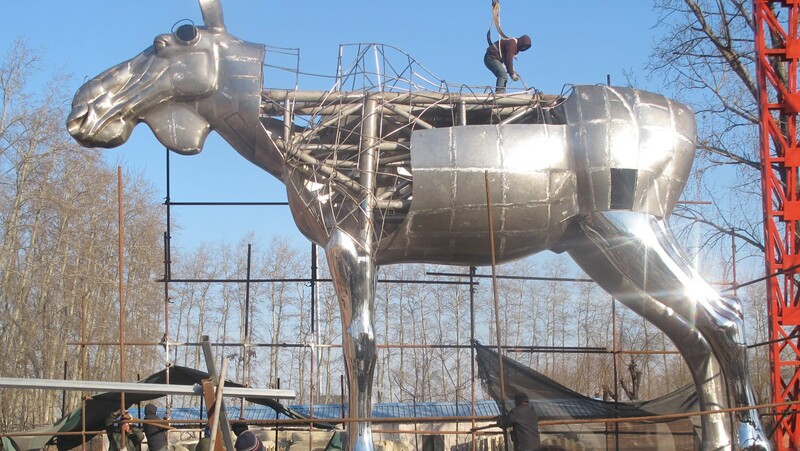 What is more natural than to build a 10 meter (33 feet) high and 12 meter (39 feet) long moose of polished steel and place it in a rest area? 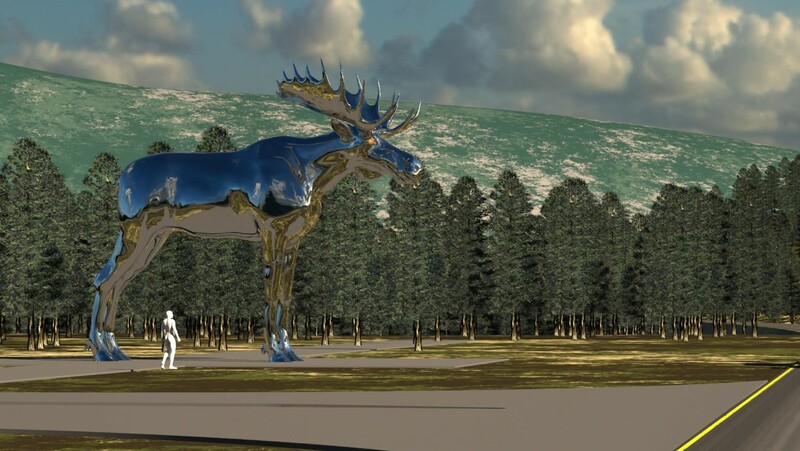 The steel moose will become the new main attraction along the road between Oslo and Trondheim. If you, against all odds, not have spotted a real moose, you have no chance to escape this colossus. The purpose of the artwork is that motorists will focus on the risk of colliding with moose or falling asleep behind the wheel. “The King of the Forest” is produced in China and is designed by artist Linda Bakke. It is made of polished steel and will be illuminated. It has been a long and laborious process to determine the final design and technical details. The Sparebanken Hedmark’s Art Fund finances the huge metal animal. The Norwegian Public Roads Administration constructs the new Bjøroa rest area where the moose will be showcased. Bjøroa, which is located along Highway 3 (Riksvei 3) in Stor-Elvdal, midway between Oslo and Trondheim, will be upgraded and become the main rest area on the stretch. The colossus will be shipped from China and be mounted in Stor-Elvdal at the start of 2015.